Nintendo made the unexpected announcement last night that Picross 3D 2 is in development for 3DS, with a planned Japanese release for October. We heard that the title would be incorporating amiibo, and an Amazon Japan listing shares more details on this front. Mario, Luigi, Peach, Toad, Yoshi, Bowser, Link, Kirby, Meta Knight, and King Dedede work with Picross 3D 2. By using any of these amiibo into the game, players can unlock original puzzles. 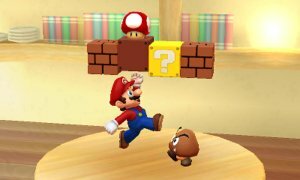 The screenshot above shows what the Mario puzzle looks like.